A couple of weeks ago, I was invited to dine at The Meat Co. Formerly known as the Meat & Wine Co., you all know that I have been to eat here numerous times. This is time I learnt a little more about the company and was able to meet with the manager. The amount of care that goes into the preparation of the halal food in this restaurant is simply amazing. It all starts from the meat suppliers who are all certified and this is clearly stated on the menu. 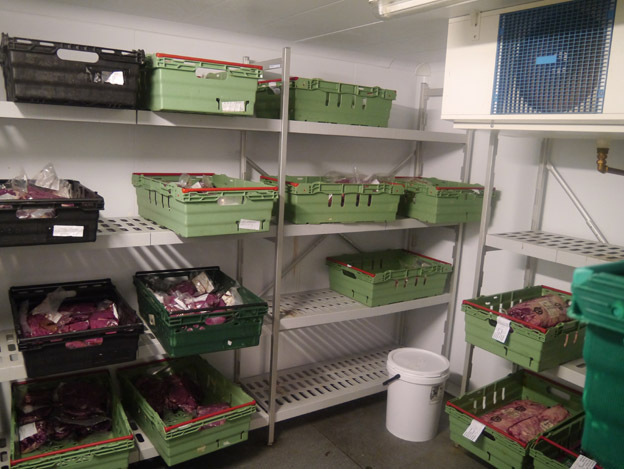 Once the meat is delivered to the restaurant, it is stored in a massive fridge where all the halal meats are kept separate from the non-halal meats. In fact, any pork products are kept in a tiny small fridge well away from all other meats. 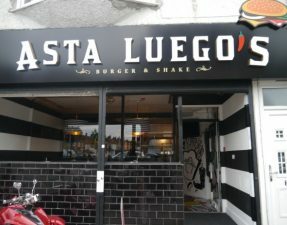 The restaurant itself offers two distinguishable sections, one halal and one non-halal seating area, to satisfy the requirements of all its diners. The halal section is so well defined that even non-alcoholic wine is not permissible to be served in this certain area of the establishment. For those that are worried about cross contamination when dining with the non-halalarians, The Meat Co. firstly offers two menus – one halal and one non-halal. The dishes that are ordered from the halal menu are then cooked specially in the halal section of the kitchen, which is kept well away from the non-halal cookers. The kitchen is completely open for diners to mien inside through a glass panel and a divider between the two cooking stations is clearly visible. All these special touches make it easy to understand why this restaurant is so popular among the Muslim customers who make up a hefty 55% of the clientele. One example of an extra special touch is that once Ramadhan begins, dates are postulated to the Muslim customers to break their fasts with, along with soup and other Iftari treats kindly offered by the restaurant. 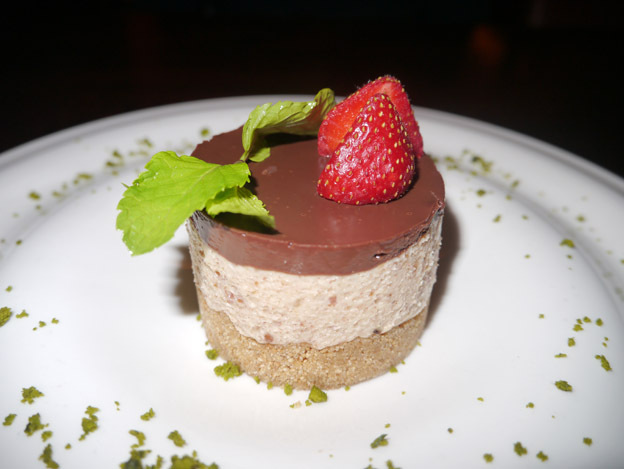 Enough chit chat for now and lets get down to what this post is really about – the food! Seeing as I have already visited the restaurant, I thought I would try new items on the menu to ensure there is a variety on my review. 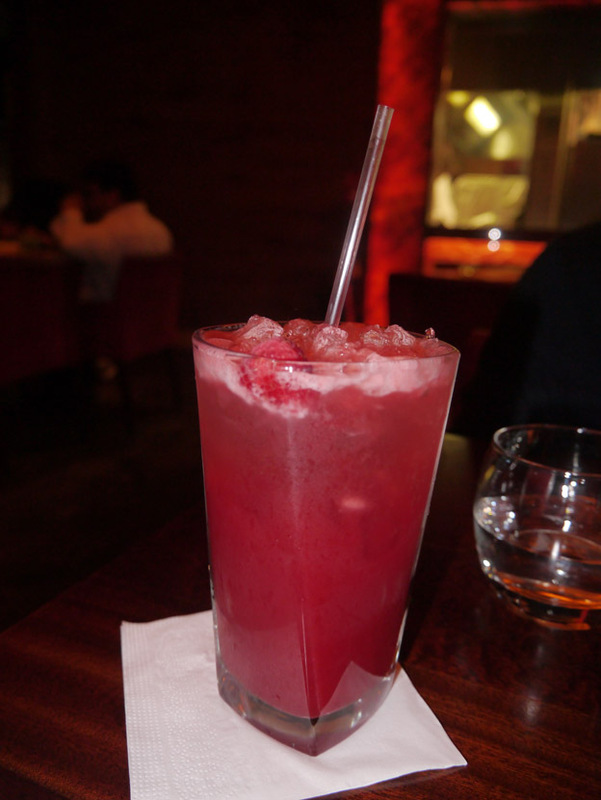 Recommended to us by the waiter, both these mocktails were refreshing and sweet. 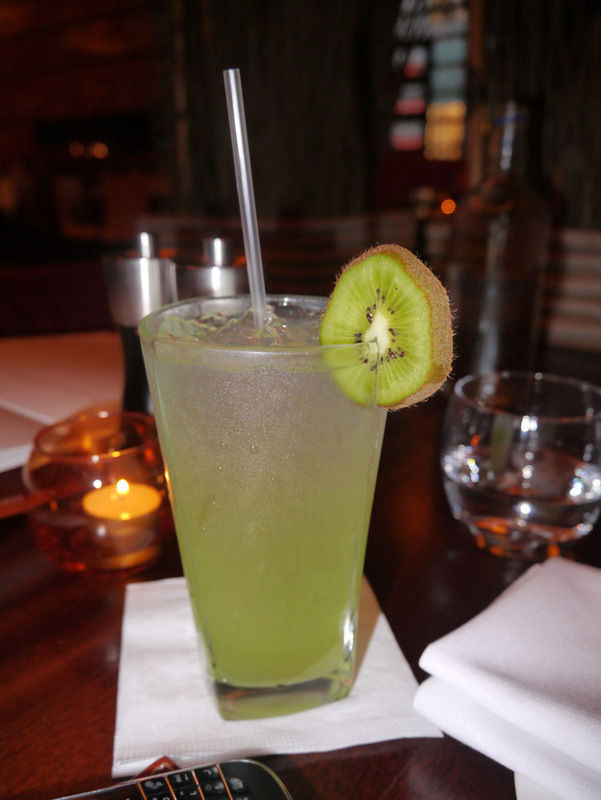 The Kiwi Crush was more of a soft drink with some bubbles added to kiwi syrup, but the Red Dawn was a potion of basil, raspberries and apple juice all “muddled” together. Right before tucking into a hefty steak, its good to have something light and healthy e.g. a salad. Well, because it’s me, it doesn’t need to be completely healthy and instead I chose to glitter my salad with a nice unhealthy amount of velvety feta cheese. 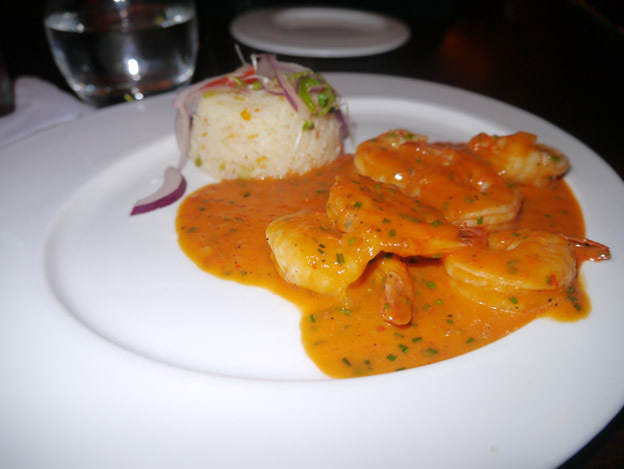 The prawns came covered in a peri-peri sauce, which had a creamy tomato base. Although the dish was good, the sauce itself could have given the prawns a bit more “oomph” (sounds better when said aloud with emphasis) and was just slightly bland. Most times I have visited I have safely chosen a fillet and simply because it’s a small piece of meat that manages to fill my belly. This time I thought I would be different and perhaps adventurous for al my readers, plus feeling a little fat, so I ordered a 500g rib eye steak. The kind waiter reassured me that some of that weight was bone subsiding any feeling of guilt within me, which is until this big mama arrived in front of me. Albeit the massive size, the meat was cooked perfectly to my preference, meaning a nice red centre and with every bite you could tell that the meat was aged (which is a good thing!). 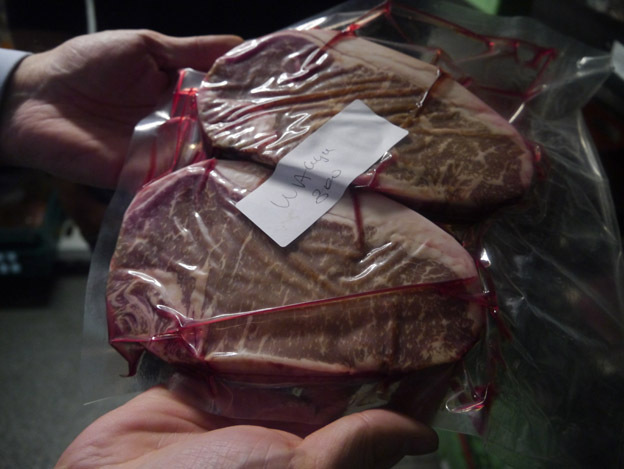 The wagyu, like you saw in the picture above, is marbled with fat throughout the steak so once it’s seared, the fat melts into the meat creating that natural flavouring. The basting was a bit too overbearing for the wagyu, so it was difficult to define the actual wagyu taste, however it was easy to distinguish the excellent quality of the meat itself. 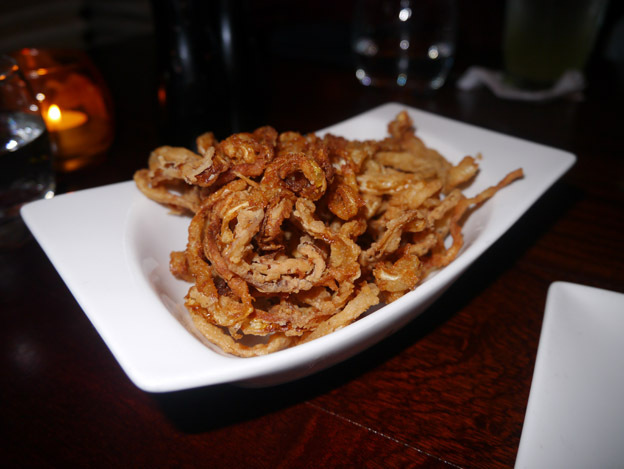 This is a must order for anyone who enjoys crispy, stringy onion rings. Even when they’re cold, they still manage to maintain their slight crunchiness. On rare occasions, I like to treat myself to dessert. Okay that was a lie. Dessert tends to be a must these days especially if it happens to be soft and creamy peanut butter cheesecake drizzled in a rich chocolate sauce. Delicious! The bill totalled to £160.99, which considering we had ordered the wagyu seems like a fair amount. The service was excellent, with the waiter informing us on the quality, cut and history of the steak we inquired about. If you are at a loss as to what to order from the menu, don’t be shy to ask the waiters/waitresses who are well educated about the vast variety of steaks available. The atmosphere was calm, cool and serene, however the tables are so wide, it can be a bit difficult to converse with your dinner partner when too many other diners are around. 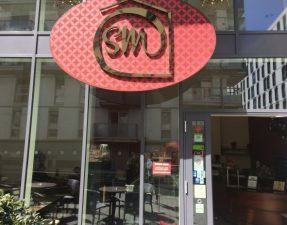 Steaks wise – if it’s your first time here, I suggest starting small and order from the super aged meat section seeing as it is their speciality. 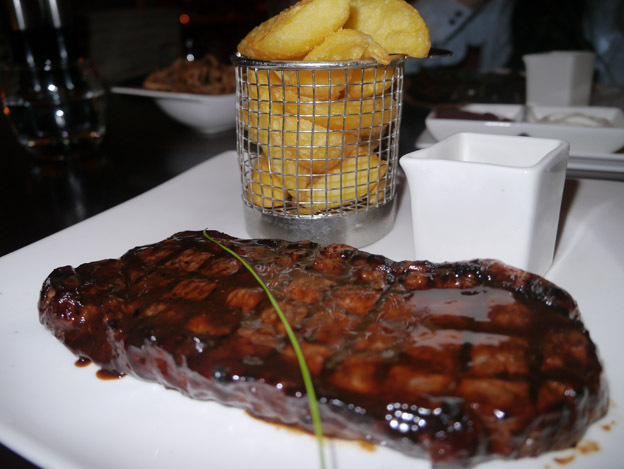 Once you build up your particular preference of steak cut, move on to the “Connoisseurs Choice” where your favourite steaks are made with a twist, such as a foie gras fillet steak or a bone marrow fillet. If steak isn’t your fancy, The Meat Co. caters to all tastes, which is perfect if you feel like a skewer of big, juicy lamb chops or succulent grilled chicken. 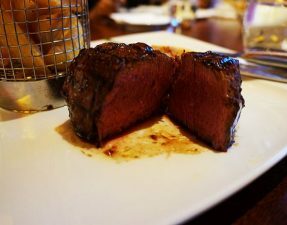 Although I have reviewed The Meat Co. prior to this visit, any restaurant needs to have consistency when you visit more than once and I can gladly say that The Meat Co. has lived up to its name of one of London’s best halal steakhouses. Aside from consistency, there is also something very exciting in the pipeline regarding this restaurant so keep your eyes peeled and all will be revealed on September 30th! Please see my previous review for ratings and information about the restaurant. I know this is a controversial statement – but the Meat Co. is only good if you spend a stupid amount of money – whilst the food is decent – is it really worth £70 – £80 per person per meal? (Considering you can have a michelin star meal for the same price!). My opinion of the place changed when I had their ‘cheaper’ cuts – I can’t believe that they don’t deliver at all! (They somehow manage to make Steakout semi-decent lol!) There burger is possibly one of the worst – I get the impression that they use offal to make it! There skewer is nothing short of sickening – If they were consistent across the board – I would continue to bring my group to them – I have given them lots of business – but every time a large group attends – they fall extremely short on delivering great tasting food – and the experience is NEVER good across the board. By the way great written review – as always! Unfortunately this is something I really feel strongly about – hence why I never recommend them to anyone in my group! Haha that’s ok – everyone has a right to their own opinion and seeing as you haven’t had consistency, which is a big deal in a restaurant, I can understand where you’re coming from! The question of Wagyu being halal should be checked with the HMC. The cattle are fed beer and Saki during the fattening period. If alcohol is not permissible to us surely it’s not permissible for us to feed it to animals deliberately for taste and flavour, otherwise people will start feeding it to chickens and goats. Just because an animal is slaughtered Islamically it doesn’t make it halal. Secondly having halal and non halal meat in the same fridge is very dangerous and you can not guarantee cross contamination. 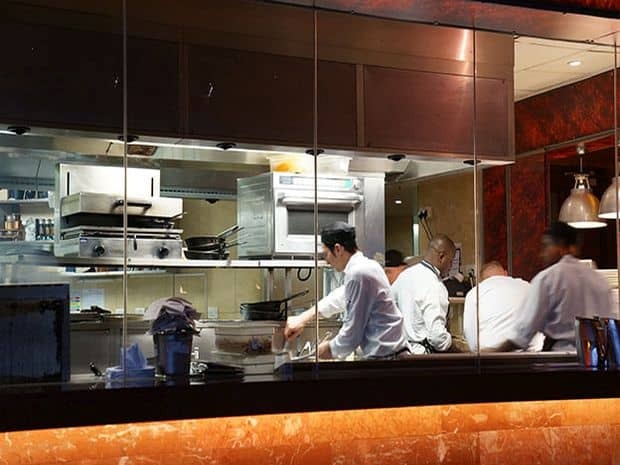 If you have been to a busy restaurant kitchen during Friday or a Saturday night you will witness the chaos that takes place. Having been to Dubai many times I do not have issues frequenting places like Meat Co there but I would not visit them in the UK for the above reasons. If it was 100 percent guaranteed they would be able to get a HMC certification. 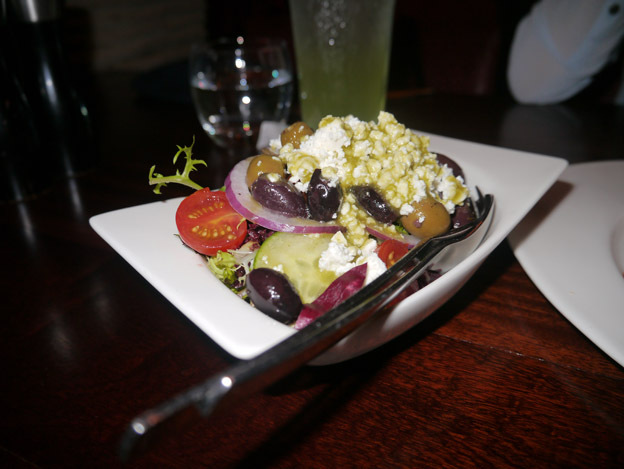 Although we fully appreciate your blogs and recommendations for various restaurants. You help and guide many of your readers to decent food. I also feel that in return I should point out that you should take the cautious route before recommending some places and products. Furthermore, some Shiya sects are not considrered Muslims even by the Shiyas themselves so I would not eat meat in their premises. I think with regards to a restaurant being halal certified we should leave it to the likes of HMC. Anyone can put a halal sign on their window. I once went to a restaurant and was told everything was halal. I ordered some BBQ ribs and found them to be pork. Sorry about the delay in replying; I have been super duper busy and now have the time to finally sit down and reply to all my comments! Firstly, not all Wagyu cattle are fed with alcohol. Those that are, are predominantly Japanese or U.S bred Wagyu however this is not the case of all the Wagyu in these countries. The Meat Co source their meat from Australia, which albeit having some areas that do use alcohol, most of their Wagyu are just grain fed for 500 days. Considering this restaurant has a 55% Muslim clientele, they would not risk feeding us drunk Wagyu. Secondly, they do have a certification, which although not HMC, that is of a halal authority. (I will double check the name with the manager himself). They are in fact the first restaurant in the UK that has a halal approval considering they serve both non-halal meats and alcohol on their premises! I must really reiterate that this restaurant does not play around with their Halalarian customers and take extra precaution in the kitchen and in their meat fridge. 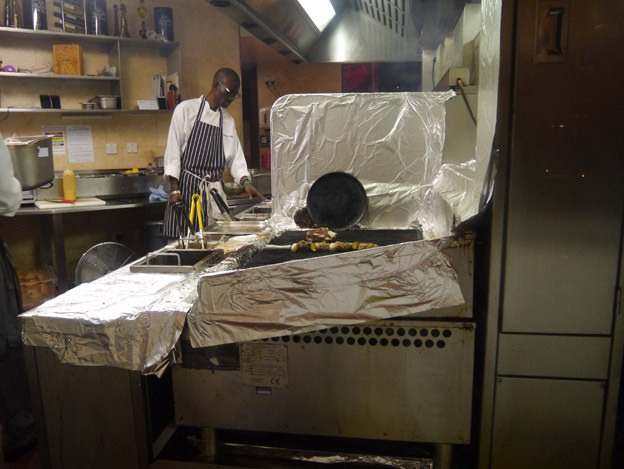 One chef does not handle both halal and non-halal meats, and the two grills are kept separate with a divider. If they have been certified by a halal authority, their cooking methodology is most definitely that of a halal environment. Thirdly, I have tried my best to be cautious about the places that I eat at for this blog and have seen certificates of the majority of restaurants that I visit; these are not signs but the actual halal certifications. It is unfortunate to hear about the BBQ ribs incident however verbal confirmation sometimes is not enough. And finally, with regards to your Shia comment, I respect your opinion however I disagree on your view on this. Considering you read my blog, you must eat out at restaurants too so how are you able to distinguish these certain types of Shias and prevent yourself from eating meat on the same premises where they are present? 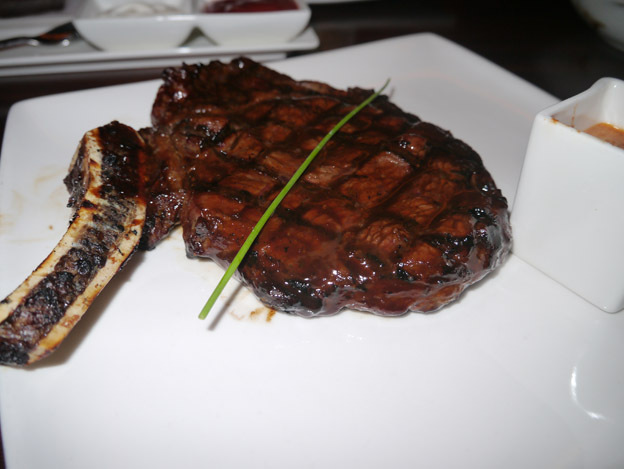 Mr Anonymous – you might want to check your facts out regarding Wagyu beef and Kobe beef. Also if you are the paranoid type who delves so deeply into food sources where you cant believe fellow muslim brothers/sisters then maybe you shouldn’t go to eat anywhere except home. How much is the Wagyu steak?